When we viewed our new rented property for the first time i spotted this small little device installed just next to the boiler cupboard upstairs and immediately asked the Estate Agent what is was because it did not look like a fire alarm to me (and i saw a firearm downstairs already) so when she told me its a Carbon Monoxide alarm which the Landlords have to have fitted on every rented property now i saw it as another positive that i would like to rent the house because not only was it lovely, newly renovated but i felt this little device made it a little bit securer! I have to be honest with you i did not research CO and last week when i received a email asking me if i would like to get involved in Project SHOUT in raising awareness of the dangers of carbon monoxide and i felt very strongly that this is a great project which needs more shouting about so i was more then happy to spread the word, inform/research it myself and tell my readers about it! Did you know that every year in the UK, over 200 people are hospitalised with suspected carbon monoxide poisoning, leading to approximately 50 deaths and one person dies every week from the deadly gas! Project SHOUT want to change this by raising awareness of this silent killer and highlight the simple solutions that could save lives. Carbon monoxide gas is a silent killer. It has no colour, taste or smell. It is invisible to the human senses. CO is produced by the incomplete burning of fuels such as coal, wood, oil and natural gas. The shortage of oxygen leads to the creation of CO instead of the usually produced carbon dioxide CO2. Carbon monoxide is produced when a fuel is not burnt properly. The most common sources are faulty boilers, gas fires and cookers. 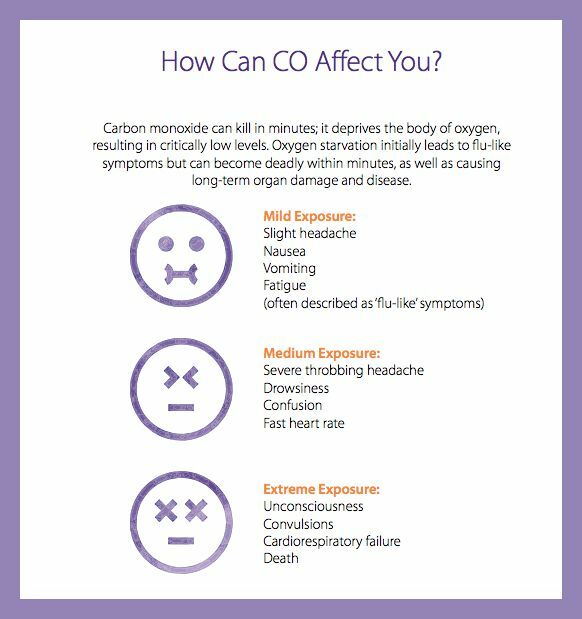 The only certified way to detect CO is with an audible carbon monoxide alarm. However there are additional steps you can take to ensure you’re as safe as possible when it comes to this gas. download to help shout about the dangers of CO.
Disclaimer: In return of writing about Project Shout and raising awareness i have been seen a Project Shout Box, but all thoughts and opinions are mine.